Prague – the capital of the Czech Republic - poetically named golden or hundred-spired - is a city of immense historic importance and remarkable urban and architectual treasures, worl-famous for its beauty-all the atributes which inspired UNESCO to enter Prague's historic centre, designated an urban reserve, into its List of World Cultural Heritage. Area of Prague urban reserve encompasses nearly 2000 cultural monuments, representing all the exisiting historical styles, including exquisite examples of modern architecture. The most frequently visited collection of historic monuments is undoubtedly the Hradcany area with Prague Castle Complex and the Prague's historical heart – the Old Town. Brno – The second largest city in the Czech Republic, Brno is an important industrial and business centre, thanks particularly to the brno Exhibition Centre which hosts a number of significant international shows and exhibitions annualy. 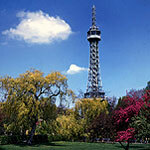 The St. Peter and Paul Cathedral is the bishop's seat and forms part of the city's charming panorama. Spilberk , a royal castle from the 13th century, also enriches the city's panorama. 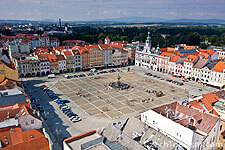 City of Budejovice was established in 1265 by Czech King Premysl Otakar II. Two rivers merge together here - Vltava and Malse. 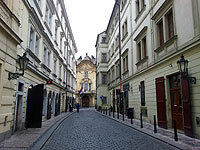 This short walk will take us to historic center of Ceske Budejovice which was in 1980 registered as Protected City Area. Delicious beer has been brewed in Ceske Budejovice since 1265 when king Premysl Otakar II granted the city certain privileges including right to brew beer. Budvar Brewery was established in 1895 as the first Czech brewery whose stock could be publicly traded and on October 7th of the same year the first brew was made. Whole generations of visitors to South Bohemia region agree on one thing: it is an area to which everybody loves to return. The region offers monuments and natural beauty, everything that makes for a pleasant holiday – both in summer and in winter. In South Bohemia there are more than 15,000 works of architecture, especially castles, chateau, monasteries and towns of immense artistic and historical value. Cesky Krumlov - this UNESCO listed town is considered to be the best-preserved Renaissance town in Central Europe. The well-preserved medieval houses of its ancient town core lie on one bank of the Vltava river, while its magnificent castle, the second biggest after Prague's, dominates the other. History names this castle for the first time in 1253. 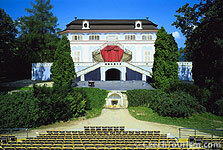 You can admire its Baroque, Renaissance and Rococo interiors as well as the Castle Gardens with the Pavilion Bellaria and the Castle Theatre.